What is MOVEX | eCommerce? Trade is continuously changing. Online retail has been growing for years, with customers making their purchases independently of place and time – online from at home or using mobile end devices while out and about. The boundaries between bricks-and-mortar store business and online retail are being removed. The consumer expects a cross-channel shopping experience. With MOVEX | eCommerce, OSP provides a tailor-made software bundle for retail and logistics in e-business. The product encompasses various webshop solutions for frontend and backend. How does MOVEX | eCommerce work? MOVEX | eCommerce combines the backend products MOVEX | Order and MOVEX | Logistics from OSP with flexible frontend solutions from the novomind software house and from other e-commerce providers. The shop system novomind iSHOP and the product data management system novomind iPIM are used as part of this solution. OSP designs, implements and configures the complete solution for the customer and successfully manages e-commerce projects with multinational teams at various locations worldwide. OSP launched the first CP ALL webshop for the Thai retail group CP ALL (7-Eleven) that is linked with other sales channels. The IT project comprises the implementation of several webshops and payment systems, the introduction of a customer loyalty program (“7-Eleven-Member-Points”) as well as other functionalities. 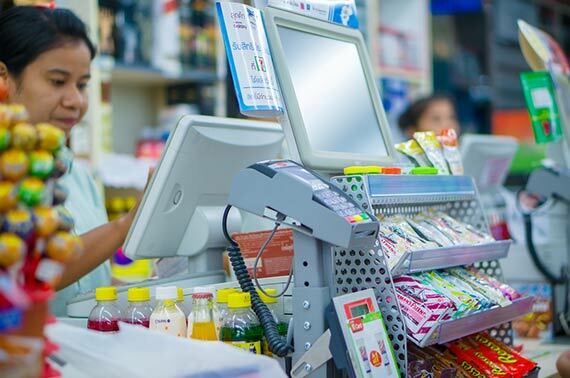 The omnichannel solution, which comprises the e-fulfillment software MOVEX from OSP as well as novomind iSHOP and novomind iPIM, was developed especially for the Thai market. Do you have questions regarding MOVEX | eCommerce?